It´s almost the fourth of July. Tomorrow… Yay! Tell me if you celebrate and how, with BBQ, a party, a parade? Or don´t you celebrate? I want to know! For those of you not celebrating, you can eat and make these treats anyway. But for those of you who are, I created some themed treats, which are a hundred percent heathy, so there are no excuses of not being able to celebrate healthy: it is possible! So here are the super yummy, fun and easy to make alternatives to sugary treats. 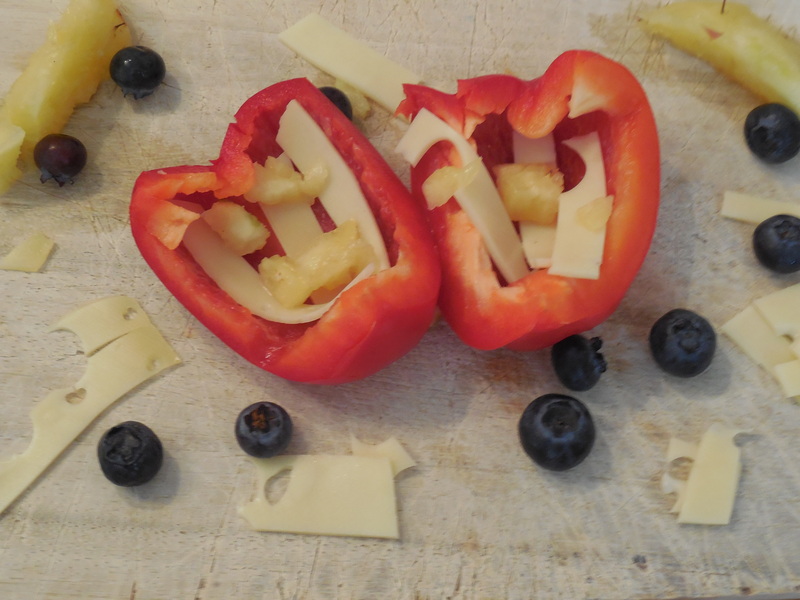 If you make just a little more of everything you also have the perfect party snack! I hope you like it, if you did please ´like´! 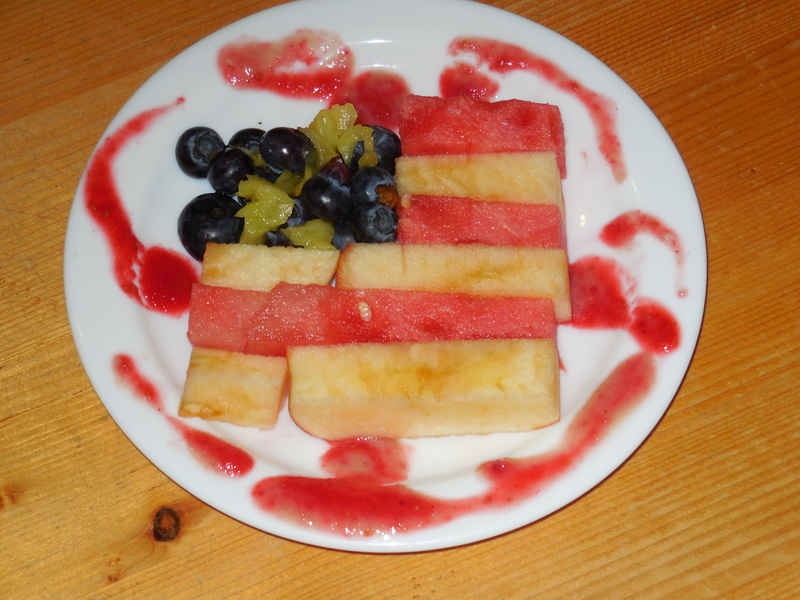 Also tell me if you recreated any of these ideas or if you have any healthy treats you like to make for the 4th July?! 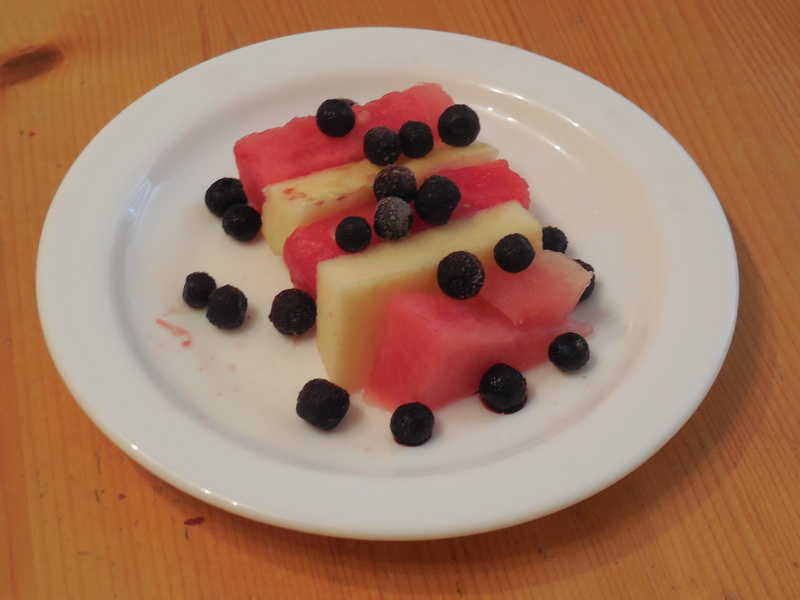 – cut up pineappleNow just arrange it so it looks like a flag! Done! 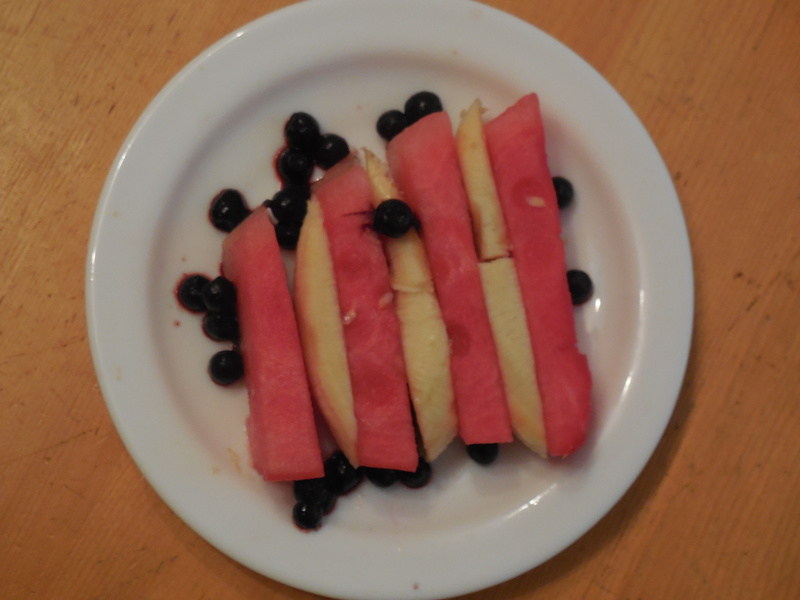 It´s so easy, really yummy and looks amazing! 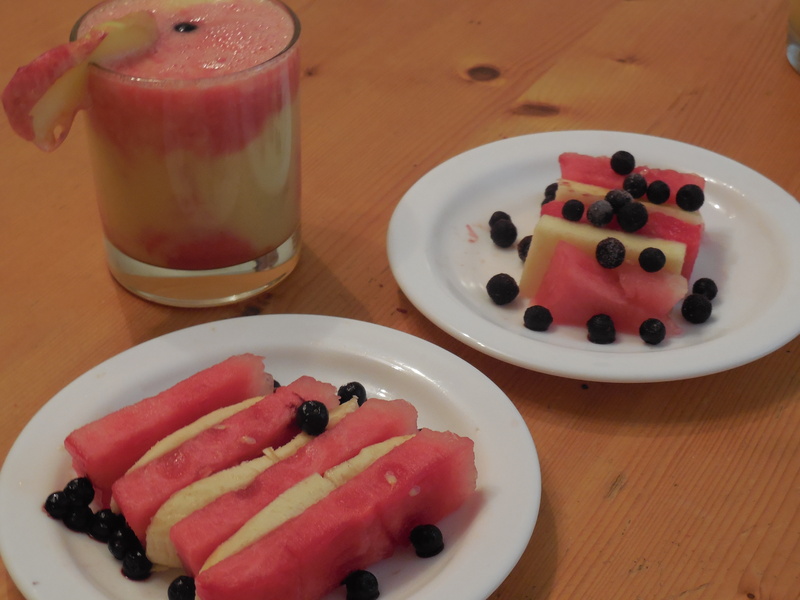 It´s the same method as the flag, except you´re only making the stripes… You can either do the watermelon, apple stripes or the equally delicious watermelon, banana version! Both look so good! This is for those who don´t want to eat as much fruit and want to get their vegetable and calcium take-in. Arrange it the way you like it and enjoy! 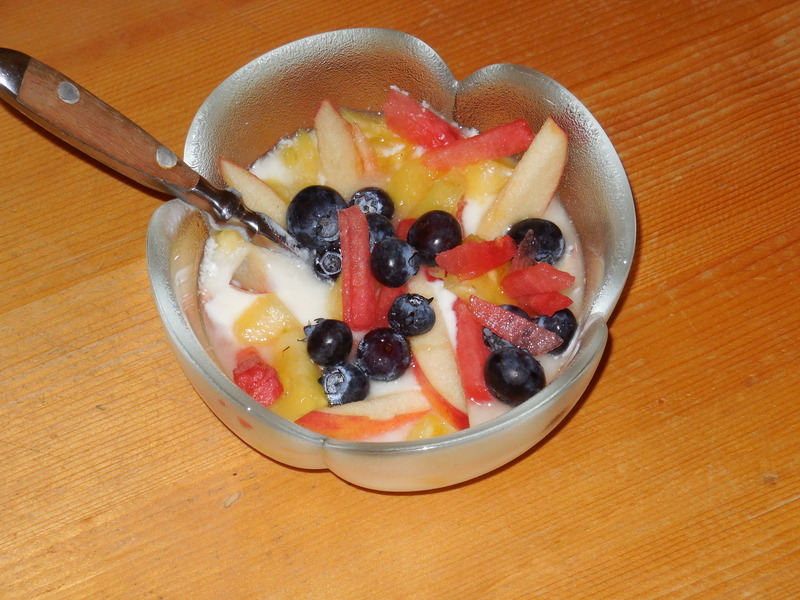 Add sliced fruit to your Yoghurt. That´s practically it! 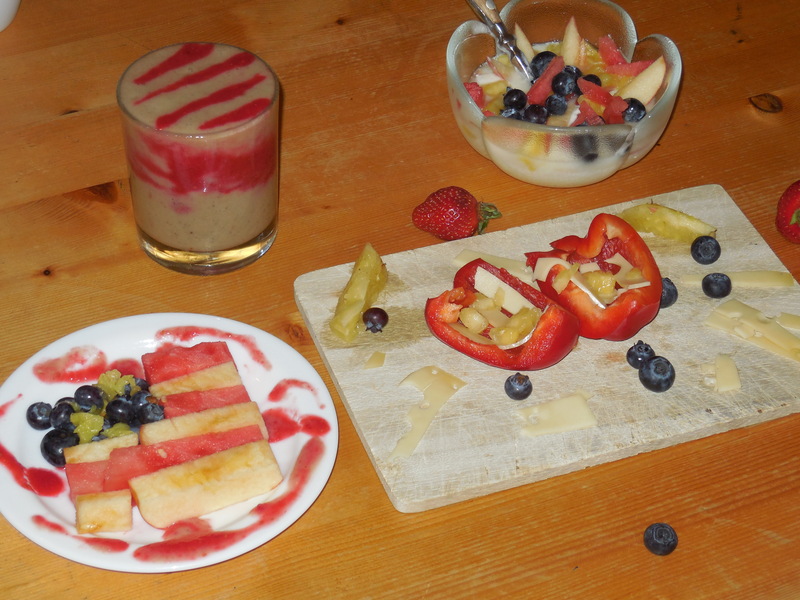 You can use apple, banana, watermelon, strawberry and pineapple slices, along with raspberries and blueberries! All in red, white and blue! I love it! 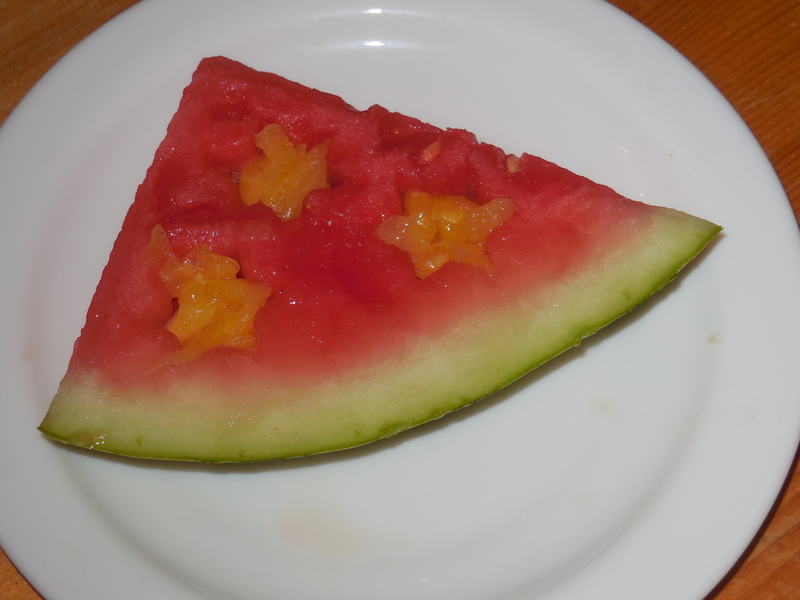 It looks really good and works extremely well cutting out stars with cookie cutters. Add some crunch with whole grain crunchies to serve it with.